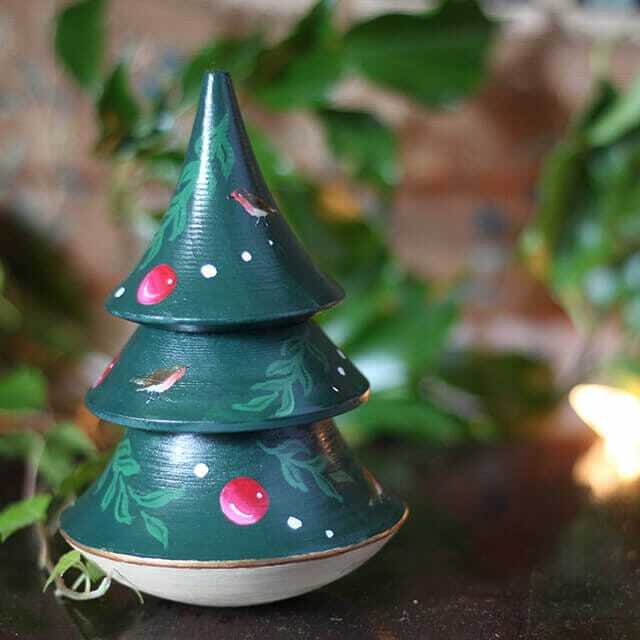 These Lime wood Christmas trees are imported from Moscow and then hand-painted and lacquered, so no two are the same. Now a collectable item, Chime dolls were originally traditional toys. They taught children from an early age to never give up, to stand up after each fall, always look for love, light and recreation. The Christmas trees – as well as other Nevalyashkas – can be customised to your own specifications. Add your family pet or hide some named Christmas presents under the tree. Create your own heirloom – the only limit is your imagination. Lime wood, arcrylic paint and varnish.